That’s how The Who were advertised in the early days, and that’s what the kids came to see. 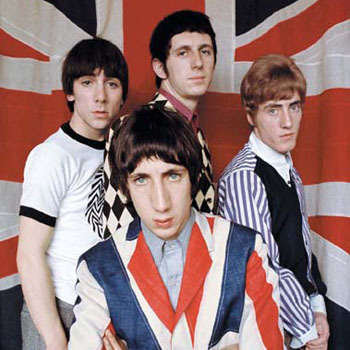 From Union-Jacketed mods into hard rockin’ gods, The Who embodied the dichotomy at the heart of rock & roll: the moving sensitivity of the poet versus the naked aggression of the fighter. 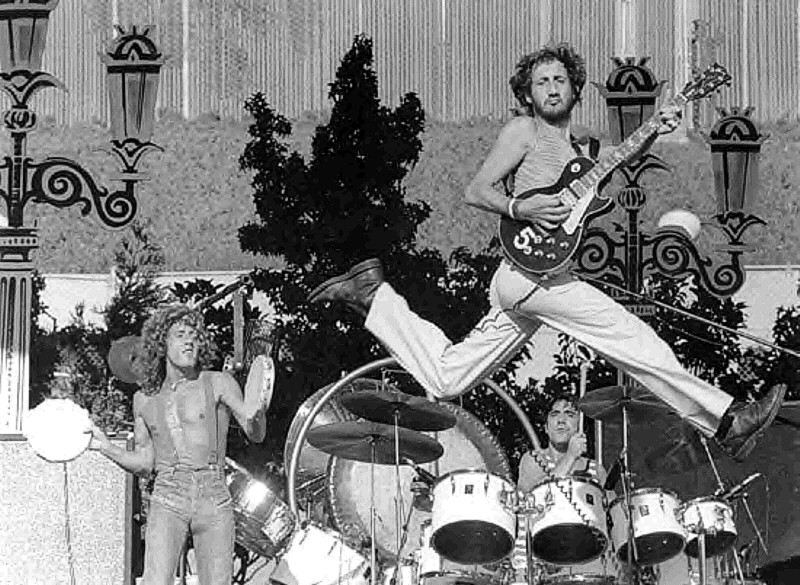 No other band exuded violence more than The Who, from bare-chested Roger whipping his microphone around like an out of control helicopter, to madman Keith pummeling his drums as if playing a frantic game of Whac-a-Mole, to Pete furiously windmilling his arm against his guitar strings while executing gravity-defying leaps. The band offered controlled chaos under the spotlights, danger at ear-splitting volumes. 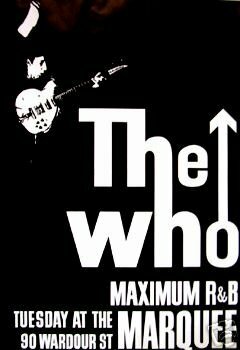 The Who began, like many other UK bands in the early to mid 60’s, playing a blend of amped-up R&B and hard-edged rock & roll in tiny, jam-packed, sweaty clubs, right in the face of their sweaty, speed-fueled fans. One night, in a particularly cramped venue, Pete accidentally jammed his guitar neck into the low ceiling. Out of frustration he slammed the guitar repeatedly onto the stage while it shattered piece by piece. The crowd went insane and the smashing of instruments became a regular climax to the band’s live show. Along with redefining how a rock concert should look and sound (they held the Guinness record in the 70’s for the loudest band in the world), The Who also went ahead and redefined what a rock album should and could be, sonically for one (Pete’s use of electricity and power chords proved highly influential), but also with the use of storylines, within individual songs and across whole albums. 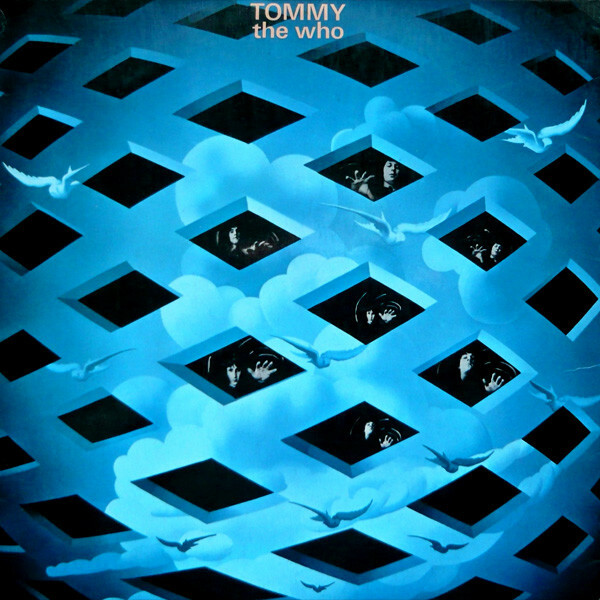 Tommy (1969) The first rock opera. The twisted tale of a deaf, dumb, and blind boy who becomes a messiah due to his pinball skills. Or something to that effect. Crazy flipper fingers! Live At Leeds (1970) Among the 20 or so live rock albums you must know whether you care about live albums or not. An epic night on the stage. Who’s Next (1971) Helped cement the change from rock ‘n’ roll to ROCK. A powerful, muscular, beast of a record. The Who at their Who-est. The Who Hits 50 Always gotta have a compilation album to pick up the necessary singles and album cuts that are required listening. Stacked from front to back with classic tracks from every era. The aforementioned are the very least you need to know, but if you feel like increasing the breadth and depth of your knowledge then The Who Sell Out (1967) and Quadrophenia (1973) are next in line, having barely missed the cut.